LeBron James stepped out onto the Staples Center court as a Los Angeles Lakers player for the first time on Tuesday. James enjoyed a resounding ovation on his home debut in Los Angeles, where the Lakers lost 113-111 to the Denver Nuggets in their preseason contest. 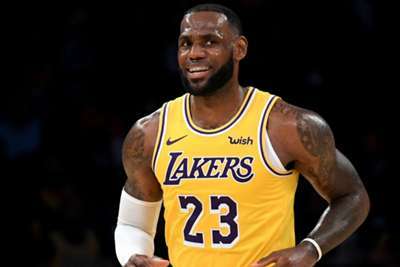 The three-time NBA champion, who swapped the Cleveland Cavaliers for the Lakers in the offseason, was five-of-six – including a three-pointer – for 13 points, three assists and two steals. James played 15 first-half minutes before sitting out the second half, just like he did against the Nuggets in San Diego on Sunday. Amid the buzz in LA, James posted his first basket at his new home with less than seven minutes remaining in the opening quarter. 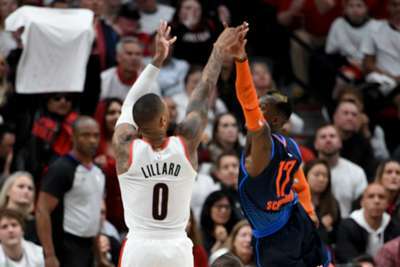 The 33-year-old superstar turned provider for some of his team-mates before providing the adoring crowd with a powerful dunk late in the first period. Prior to James' Staples Center bow, the veteran said during the morning shootaround: "It's a new beginning, a new start, it's a new excitement for myself."